Nancy Jensen work has appeared in numerous literary journals, and her first book, Window, a collection of short stories and essays, was published by Fleur-de-Lis Press in 2009. She has been awarded an Artist Enrichment Grant from the Kentucky Foundation for Women and an Al Smith Fellowship from the Kentucky Arts Council. Nancy shares her home with eight rescued cats and her dog Gordy, who is her partner on a pet therapy team with Pawsibilities Unleashed of Kentucky, visiting hospitals, nursing homes, assisted-living facilities, and daycare centers. When I interviewed Nancy I discovered a talented author who is full of life and writes because of her passion and the need to make a positive difference in other people’s lives. My grandmother taught me to read when I was 3 years old. I remember craving stories. My sister was 3 years older than me and already at school so I began to crave books. I remember sitting at the kitchen table and instead of drawing like other children I would pretend to write. I would ask my grandmother if she saw any letters, and she would find something that looked like an ‘a’ and in this way, letter-by-letter, she taught me the alphabet. After she taught me to read, my grandmother started letting me borrow library books on her card, but I was reading so much, I used up all her privileges. In spite of her terrible shyness, she faced down the librarians and their policies and managed to get me my own card when I was 4 years old. I was totally a library rebel. (laughs). Did you have a horse growing up as child? No, I never learned to ride but I have always had cats and now a dog. I have always had some way of communicating with stray animals… they trust me. My dog now I picked up as a stray. “Gordy” was not expected or planned, but when I picked him up he just tied a Gordian knot around my heart. Hmm, that is a really hard question (waits). 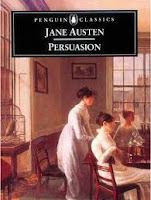 I would want to be Anne Elliot, the protagonist of Jane Austen’s sixth novel Persuasion. I understand how she (Anne) is the family liaison and always bent her will to other people out of kindness, and yet when she sees the wrong that has been done to her, the misdirector she’s been given, and she sees a chance to change, she grabs the chance and just does it. When you see the choices in your life go wrong, you can still change your path. Did you consciously make a connection between Mabel, from The Sisters and Anne Elliot? No, it took me awhile to find Mabel. Mabel could hold on to what mattered and hold onto hope. What I really loved about Mabel was she took her own bold chances but also made sure she helped others too, even at the expense of her own future. Mabel saw Daisy, who needed rescuing and just went ahead and rescued her. What was your most vivid memory or moment in being a writer? Wow. There are a lot of those but probably the most significant would be when I started The Sisters. I knew the pair of sisters would be separated, but I did not know who they were or whether they were close. At some point, I saw the girls together looking through a stereopticon, and so I looked up stereopticons on eBay to see if I remembered correctly what one looked like. Then I searched for stereopticon cards, and I was startled to discover some with pornographic images. When I saw these, I suddenly knew what had come between the sisters, and I could not type fast enough to get the story down. What would you change, if anything, in your writing career if you had a chance to go back in time? I don’t know if I could or ought to change it, but there is a 10-year gap when I did not write at all. It sprang out through a personal trauma when my writing was violated and I became afraid to write. I thought that was it and so I focused on my teaching. Though I sometimes wish I could have those ten years back, I realize now that through teaching literature—mostly to non-readers—I learned more about the structure of powerful writing than I’d ever known. Finally I started writing again and through the rhythm of sentences I became more patient. It’s the Anne Elliot and Mabel of picking yourself up again (laughs). What is your favorite part in the process of writing a book: writing it, submitting it to an editor or Book touring? I’ve spoken with a lot of book clubs, especially over skype. Sometimes writing can be a miserable experience, but there is really no rush like the moment when you solve a problem that has been smiting you and it all just comes tumbling out. The moment the subconscious delivers up. Like being a reader when you can’t wait to turn the page but you want to read every word. Has a reader ever told you something about your books that really surprised you? Oh yeah! A few times, but the one that sticks in my mind was during a skype call in Florida with a book club of mothers. One of the women was holding back tears as she told me that she was at odds with her own mother because her mother had become over-protective of her young daughter. However, the woman said when she read about Mabel and Daisy, she suddenly recognized some of her mother’s behaviour, so she asked her mother, “Did anything like that ever happen to you?” The answer was yes. She now understood why her mother was so protective (pause). Lives have changed because of books, and as a writer, there is nothing that can prepare you for the moment someone tells you your book has caused a change. What do you think is the most important quality of a good writer and why? I have to feel the powerful need to tell the story. Do you have any kind of secret fetish you would be willing to share with us? (Laughs) well clearly I am a collector of cats – I have seven in my house now. I guess you would call that a fetish. How did you come up with the idea for The Sisters? The only thing I knew when I started The Sisters was they were separated and one would erase the other from her life. When I was 10 years old, I learned that my grandmother had a sister that no one in my family talked about, and when I tried to get information, everyone shushed me and said, “Don’t you dare ask your grandmother. She’ll have a nervous breakdown.” I wondered what would it take one sister to erase the other from her life? Do you find yourself most similar to a particular character? No, there’s a part of me in all of them. When people learn a bit about my own family structure—I’m the youngest–they say “oh you must be Grace” but oh no. Grace has a penchant for picking up stray animals (like myself) but hand made jewellery – I have no ability in. And I definitely don’t have Grace’s goodness. Did you know the ending before you started writing the book? Definitely not. It was nearly a year before I had a flash of how it might end. When I wrote what became the final scene, I knew it had to be the ending, but I had no idea how I was going to get there. In seems in your book you grow the nature and role of women to become more self reliant, strong-willed and independent of men. Was this intentional? Yes, in a way. At some point in the story of the succeeding generations and the effect of the sisters live moving forward, I recognise it was going to be about women of the 20th Century. Cultural and political changes are experienced in real people’s lives, but for most of us it happens in the background and we don’t realize our attitudes have changed. I lived in a multi generational household and I was shaped by the way my own family was structured. I grew up observing and the most interesting parts were the cultural context of each generation. There are some very hard hitting social issues embedded in each character’s story. Did you find it hard to write these sections? I stayed true to each character and each had a profound experience that made them who they are. It was difficult emotionally for me to place myself inside Mabel’s and Daisy’s experience of abuse. I grew up seeing explicit and often graphic coverage of the Vietnam War on television and in magazines, and so telling Ken’s story through Grace took me back to that time, which was painful for me. I don’t have one because I love them all. In order to write the book I had to get involved with each character. Just talking about one makes that character my favourite for that moment. How do you change your character mind set when writing? The writing was really a mess for a long time because I would only start a new character when I had a stable sense of who they were and their voice. I would sometimes stay with the character not knowing how her story was going to fit, though. Secretly, I am a frustrated actress, so I think that helps me feel the characters from the inside. I would have loved to be an actress but was not very good at it (laughs). Will you be writing a sequel to The Sisters? When I first started talking with readers about The Sisters, I was shocked this question came at me, because I have never written anything that was meant to connect with anything else I have written. I can’t say at the moment there are plans but I would not slam the door. That would be a really interesting idea to explore. I am just thrilled that people want to know more about the next generation. One last question, who did you relate to more Mabel or Bertie? Bertie is modelled on my grandmother so to some degree I feel more for Bertie and understand her better. Mabel is a total invention, so I just let her evolve. I would like to be more like Mabel, but I understand Bertie’s experience better. It would be nice to have Mabel strengths, too. Thank you for your time Nancy and congratulations on the success of your book The Sisters. Interviewed by Caroline McLean from TheReadingRoom.com.